Let’s face it – home improvements are expensive. Whether you’re renovating your kitchen or putting a new roof on your home, you can expect to spend thousands of dollars. But what if your budget won’t allow for that? There are a number of ways that you can update your home without needing to sacrifice in other areas of your life. These step-by-step tips to budgeting for a home improvement project will get you started. Ready to get some work done at home? 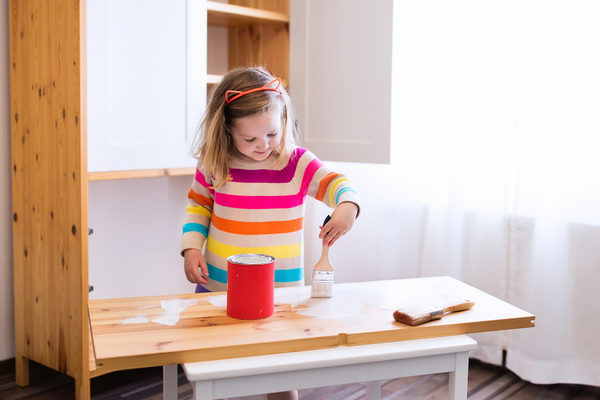 The idea of “home improvement” will mean something different to everyone, but there are some areas of your home to prioritize if you are upgrading on a budget. What you want to focus on is making sure that any changes you make to your home are adding value to it – not decreasing its value. Should you decide to sell your home one day, you’ll have a better chance of recouping your home improvement investment upon a sale. Kitchens, bathrooms, and basements are all safe areas to upgrade in terms of holding their value. Exterior improvements like updates to doors, windows, and paint or siding will also have an overall higher return on your initial investment if you do sell your home one day. You have to have a basis for comparison when it comes to pricing out your potential renovation projects. For example, the projected average cost of a kitchen remodel in 2017 is around $21,637 according to HomeAdvisor, although the typical spending range is between $12,000 and $32,000. If these numbers are far beyond what you can afford to pay, it may be better to prioritize another area of the house or small upgrades that are within your budget. Find local contractors who specialize in the areas you’re focusing on and start getting quotes. This will help you narrow down the expected price of your project to a more precise figure. As you start talking to contractors, find out if they are willing to let you purchase the materials needed for the project; otherwise, you’ll be paying an additional markup. The more you can do on your own, the more you can save. One of the best ways to reduce overall costs with a remodel is to take on do-it-yourself projects whenever possible. For example, a large part of kitchen remodel costs come from cabinetry. If your cabinets are still intact, but you want to upgrade their look, try refinishing doors or even replacing them with low-cost options from places like IKEA. You’ll have to do a little work, but you’ll end up saving big. In fact, you may find out that you are able to do more than you think. Painting, installing tile backsplashes, and even laying down floorboards can easily be completed in a weekend. Once you decide that a home improvement project is right for you, start saving immediately to ease the burden on your budget. Remember that larger purchases – such as big appliances – can be quite costly, so don’t try and purchase them all with credit as you’ll end up with huge interest payments. Also, be realistic about your needs and wants. A granite countertop may be your dream look, but a laminate version can cost half as much and still give you the style you want. One of the best ways to access the best online deals and savings related to all of your home improvement needs is by joining an online deal site. Not only will you have access to contractors and supplies, but you’ll also be able to increase your home improvement budget with savings on your everyday items. Sign up for savings and deals today.